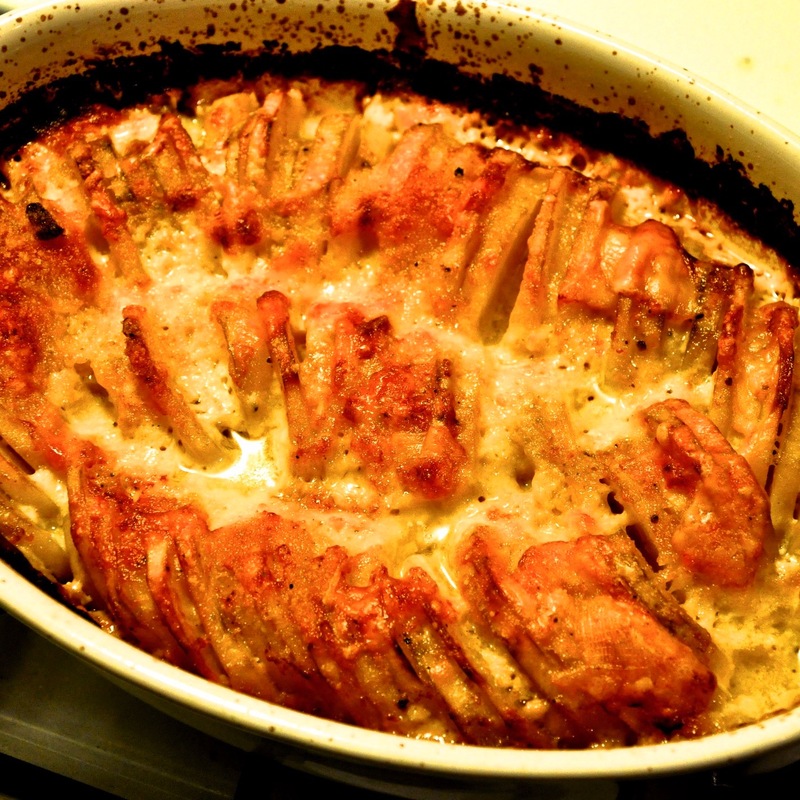 This is a fun hybrid of two classics, Hassleback potatoes and Potatoes Au Gratin. Peel up a few russets, cut in half lengthwise and then make slices 1/8 inch thick. Toss with cream, parm., swiss, S&P. Arrange in casserole dish filling with the cream mixture halfway up the potatoes. Bake at 450 covered for 30 minutes. remove and top with a bit more cheese and bake till golden brown.